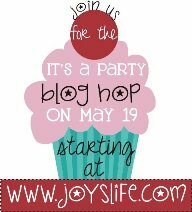 It's a Party Blog Hop! it off with my Joyslife stamps. and the word "Girl" from the Mother & Daughter set. You can find both of them HERE! You can get these fun Action Wobbles HERE! WHAT??? Did someone say BLOG CANDY? I love how you did the hat with the tulle hanging in the back! Beautiful! so adorable....nice pom pom on top. I always liked the little cups of mints at each place setting at partys....the wobble just finished it off. 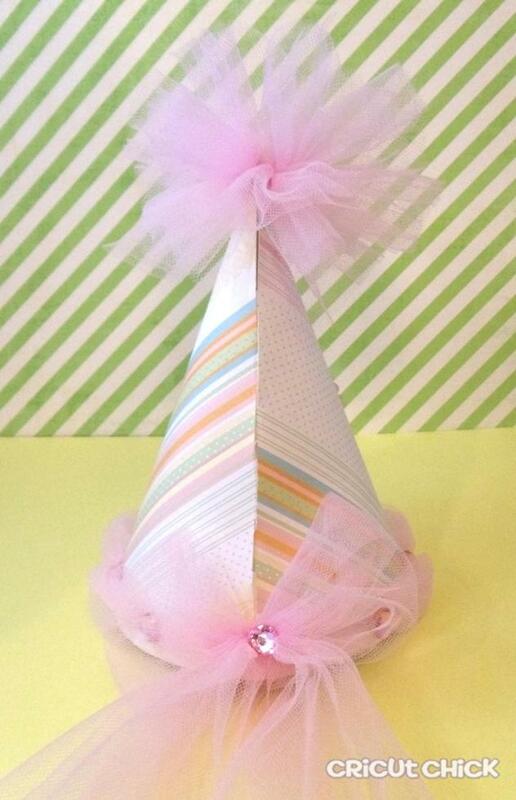 This party hat is darling. Love the action wobble. I think my fav. party favor is just fun things like bubbles,or sidewalk chalk. Julie you have outdone yourself once again! This is so cute! I love birthday parties. The Action wobble is a nice touch! 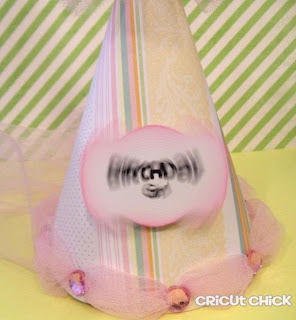 What an adorable party hat for the birthday girl!! Too cute. TFS.--Pat N.
Such an adorable birthday hat! love the wobble on it! Love the very pretty hat! Love the hat--so cute for a birthday princess! Would love to win those action wobbles! I'm already a follower; love all your projects! 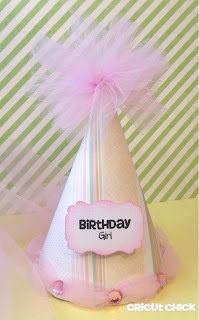 What an adorable hat that would make any birthday girl feel like a princess! My favorite party decoration is a banner because you can have so many variations for different occasions. I'm already a follower and liked your FB page. Love the pink tulle, so pretty! I need to get a set of the wobbles too! 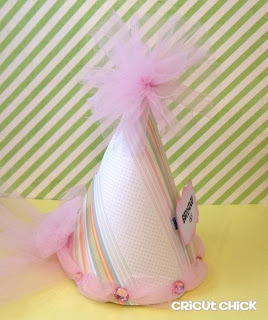 Adorable Birthday hat! !Would love to make a few for my God Daughters Bday!! !She would love it!ALready a follower of your blog,liked you on FB and My favorite party favor would be anything filled with candy!!! Such a cute hat! Following your blog and just liked your FB page. I think my favorite favors are anything edible. I always put those to good use! What an elegant princess hat! Love the use of tulle and that AW is so much fun!!! Totally cute!! What girl wouldn't feel like a princess wearing this!! :) Love it! I am following you and like you on fb. My favorite favor is goodie bags with candy. Gotta have candy. Your birthday hats are adorable, especially with the tulle. My favorite party ever was a luau themed party we threw 3 years ago to introduce our new adopted daughters to the family. It was a very special day for them and probably one of their best memories also. Ohh my God!! That is so adorable and princess-y!! Way CUTE!! I have a couple little princesses of my own that would LOVE to wear a pretty little party hat like this. My favorite party favor is always the treat container. I have seen such creativity when it comes to holding a few candies. Muy bonito gorrito de fiesta a mi niña le encantara. You made such a beautiful hat AND made it fun with that action wobble. I just adore it! Thank you for being part of the It's a Party Blog Hop! Very cute. I like the wobble and the tulle. My favorite party favor is candy. new follower here! My fave party favour is reusable cloth sandwich bags filled with treats!